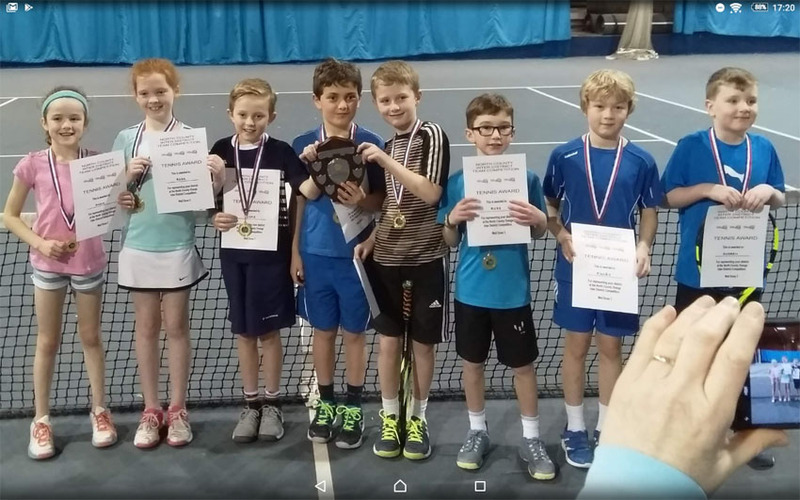 Tennis Tayside entered two teams into this event held over the weekend of 12th & 13th January and both the teams did really well. I thought the oranges played very well and Rhuiri Blair in particular is an outstanding prospect for the future. As a team they won comfortably. The greens was much closer and in fact we had lost to North East but overall had done better against the other districts so were lucky to win in the end. Eddie and Charlie had a great win against the Central number 1 pair who had easily beaten Thomas and Murray. Overall with both teams I was really impressed that all children were keen to volley and there was some fantastic net play from some of the girls which is very encouraging. Some of the players need a lot of work on where to place the ball for doubles rather than smacking it down the line but obviously they are all very young and this will come. They were all beautifully behaved too which is a bonus! As Rhona Alston, TT President, said ‘It was just fantastic, Douglas Gibson was of course there all day, collecting for the Tayside Database and in support of parents and coach. We have a great representation of players from around Tayside. Clubs putting forward players were Broughty Ferry, Scone, Perth, Gleneagles, Kinnoull, David Lloyds, Arbroath and Montrose.